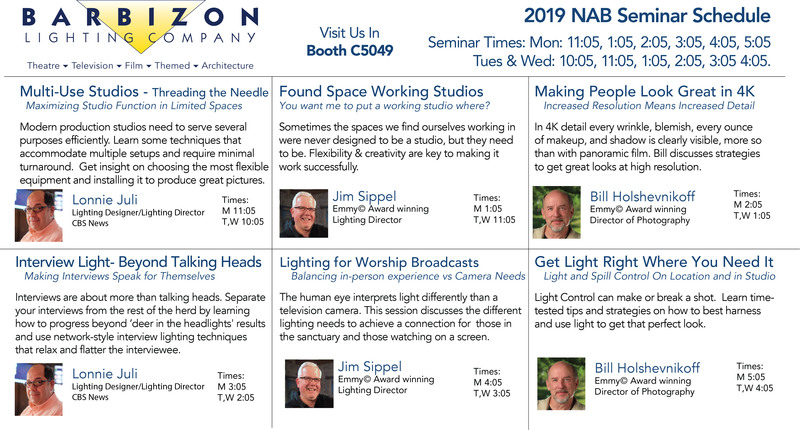 Barbizon will be exhibiting April 8-11 at the annual NAB Convention in Las Vegas showing customers the latest and greatest advancements in broadcast and content acquisition equipment. Our booth will be located in the Central Hall in Booth C5049. We will be continuing our free exhibit floor-based educational series with Lonnie Juli, Bill Holshevnikoff and Jim Sippel.